Tonight’s the night! 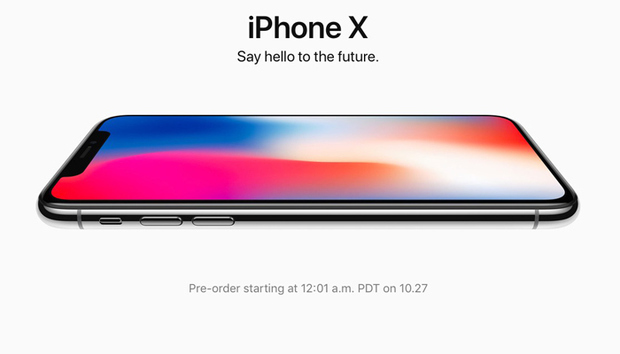 As Thursday becomes Friday—at 12:01 a.m. Pacific—Apple will make the iPhone X available for pre-order. You can order yours from the comfort of your own home, with only a virtual line to stand in. The thing is, it can be lonely waiting in a virtual line. That’s why the Macworld Staff will be streaming live. We’ll be broadcasting on Facebook and Twitter and we’ll wait in line with you as we count down to the pre-order opening, and then we’ll be placing our orders. So while you’re up late at night (or in the early hours of the morning), join us! Ask us and your fellow viewers any questions you might have, or give us your thoughts on the iPhone X or anything Apple related. Here are the details. We’ll start at 11:30 p.m. Pacific on Thursday, October 26. The livestream video will be available on the Macworld Facebook page and on the Macworld Twitter feed. Come with your questions and comments! Apple will start pre-orders at 12:01 a.m. Pacific on October 27. Even if you’re not buying an iPhone X, join us anyway!